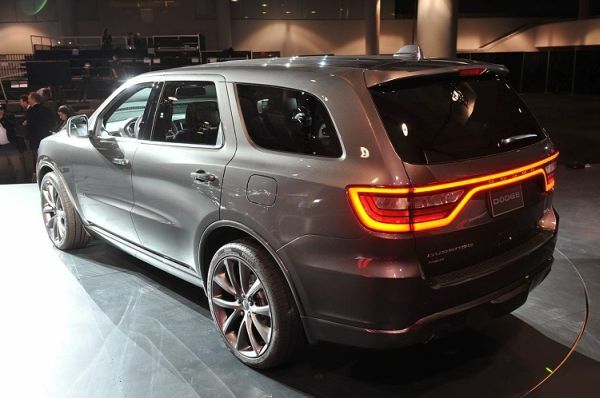 2015 Dodge Durango is a utility car that is built on the same architecture that is shared by M class and G class Mercedes and Grand Cherokee from Jeep. It has a strong, bold exterior and offers nice driving experience. It competes with 2015 Dodge Grand Caravan, 2015 Nissan Pathfinder and 2015 Toyota Sequoia. It is a full-size SUV with a lot to provide. Compared to the first Durango that was characterized by a rugged tough-looking wagon appearance, the present version is more utility-centered because of the unibody design. The body lines are smoother making it less rugged than its predecessors. The imposing crosshair grille in the front sets it apart from its competitors. The features in the rear sheds its heavy cumbersome image. Placing of dual exhaust and usage of monochrome lend it a sporty look. The wheelbase is 119.8 inches while length, width and height are 201.2 inches, 75.8 inches and 70.9 inches respectively. Durango weighs 6500 pounds. The cabin spells luxury, comfort, style and a lot of tranquility. It has a seating capacity of 7 passengers. The front headroom and legroom are 39.9 inches and 40.3 inches respectively. The second headroom and legroom are 39.8 inches and 38.6 inches respectively. If you choose the Citadel and Limited trims, you can enjoy heated second row passenger seats and ventilated and heated front seats. Standard aspects include voice command enabled Uconnect infotainment system, trizone automatic climate control, Sirius satellite radio, tilt/telescopic steering wheel and AM/FM/CD radio having WMA/MP3 support. Durango is offered with two engine choices. 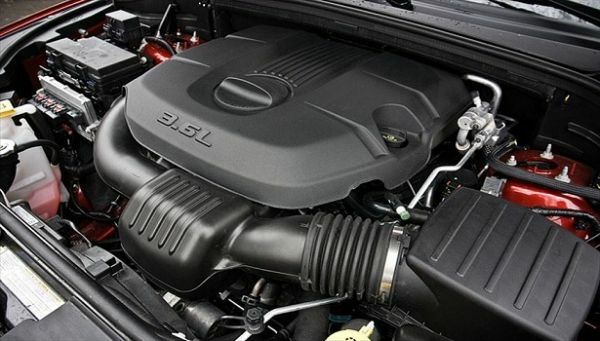 The standard engine is Pentastar V6 3.6 liter unit that can be fitted in all the trims except R/T. It has dual-overhead cams and variable valve timings that enable it to deliver an award-winning performance. It generates 290 horsepower @ 6400 rpm and a torque of 260 lb.-ft. @ 4800 rpm. It gives a mileage of 18/25 mpg for rear-wheel drive and 17/24 mpg for all-wheel drive for city/highway. The other engine is 5.7 liter V8 engine that raises 360 horsepower @ 5150 rpm and a torque of 390 lb.-ft. @ 4250 rpm. It gives the mileage of 14/23 mpg for rear-wheel drive and 14/22 mpg for all-wheel drive for city/highway. The base price of Durango is $31,000 and will be released in the US market in late 2015. Durango is a full-size SUV with seating for 7 passengers. With two choices of engines, it offers a satisfactory mileage. 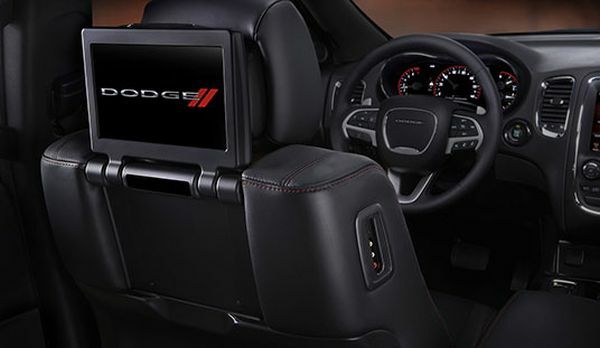 The exterior is bold but handsome while the interior of 2015 Dodge Durango is richly done and very comfortable and tranquil.